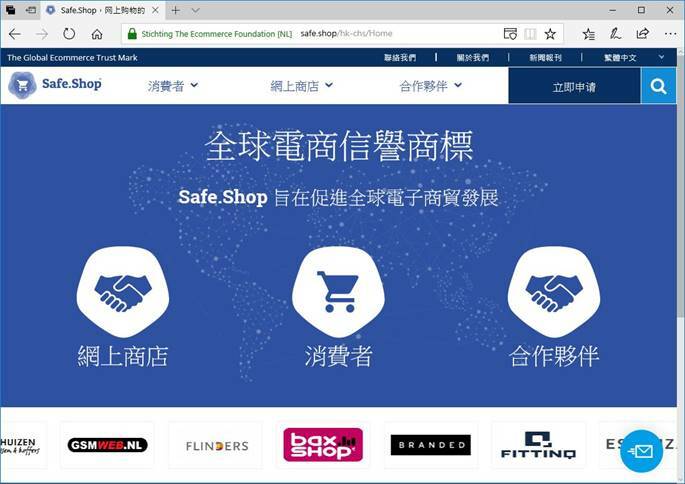 On 7 Dec 2017, the Hong Kong Federation of E-Commerce (HKFEC) launches a Chinese version of Safe.Shop, the global ecommerce trust mark, which has been globally launched by Ecommerce Foundation early last month. The goal of Safe.Shop is to enhance consumer confidence to shop globally and increase global digital trade. National ecommerce associations of amongst others Brazil, China, Croatia, Germany, Iceland, Japan, Malaysia, Russia, Romania, Switzerland and the Netherlands are the first participants. 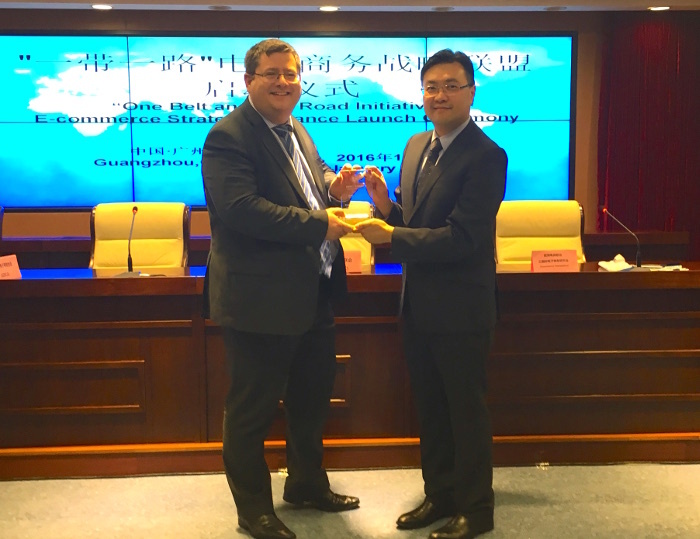 The Global Trustmark will be operationally managed by the Ecommerce Foundation and HKFEC will be the representative for Asia region. While Cross-border ecommerce is growing with 17% in 2017 according to a recent study by the Ecommerce Foundation, both consumers and merchants are faced with a lack of trust. Consumers often do not dare to buy at a foreign web shop, without knowing if the party is reliable. At the same time, merchants are facing difficulties building up local trust. A recent study by the UN revealed that 51% of all consumers who have not yet shopped online indicate trust as the main reason. As soon as transactions become cross-border, the level of trust in ecommerce nearly halves. To gain national trust, applying for a local trust mark provides a solution; however, companies that want to enter multiple markets need to be certified in each country individually. At this moment, there are 300+ ecommerce trust marks worldwide. Except for a few, all of these are national initiatives. Some of them focus on legal compliance, others on financial reliability, security, reviews or anti-counterfeiting. Others try to cover all or most of these aspects. Having to be certified by many different trust marks takes a lot of time and effort. This complicates matters, especially for small and medium sized companies. Safe.Shop has the goal to lift the barriers of borders, giving consumers buying cross-border more trust, while simultaneously helping merchants sell more easily on a global level. Jorij Abraham, managing director of the Ecommerce Foundation that will oversee the global ecommerce trust mark explains: “We do not intend to build a trust mark from scratch. There are many national organizations that issue a trustworthy certificate. They have the knowledge of the local market and can certify local web shops and retailers far better than a central organization. Working with local trust partners also allows us to use the power of the local brand to build a global trust logo together”. In the next three months Safe.Shop will launch in 12 countries, to optimize the new processes and systems. Web shops can apply via their national ecommerce association or directly via www.safe.shop. The goal for next year is to expand to 30 countries. Negotiations have already been started with ecommerce organizations in Canada, France, Mexico, Spain, South Korea the UK and the United States. The Ecommerce Foundation is an independent non-profit organization, initiated by worldwide national ecommerce associations and online and omnichannel selling companies from industries such as retail, travel & finance. The mission of the Ecommerce Foundation is to foster global digital trade. It does this by doing research on the global ecommerce market, facilitating knowledge sharing via EcommerceWiki.org, an online community of ecommerce professionals and offering the Global Ecommerce Trustmark, Safe.Shop. 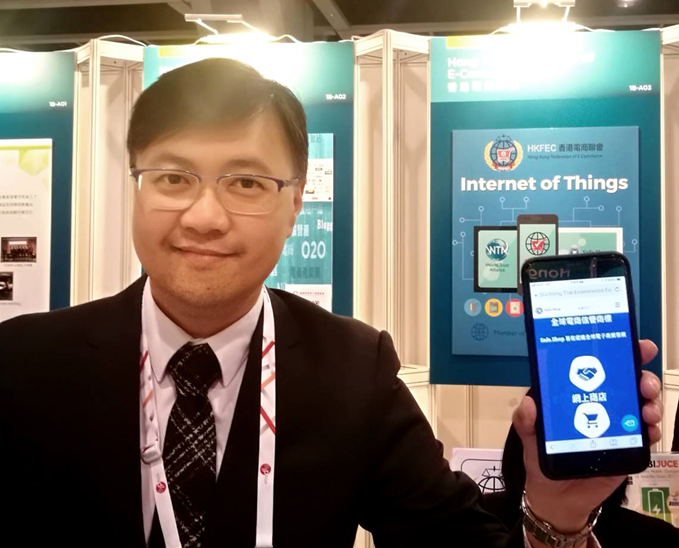 The Hong Kong Federation of E-Commerce (www.hkfec.org) was established as a non-profit organization to bring professionals and all parts of e-commerce businesses together to share the latest news, technology and opportunities on a common platform. Their goal is to make Hong Kong a better place for e-commerce. HKFEC's main objective is to encourage mutual benefits to all e-commerce players, from platform owners, online shops, online media, online service providers to logistics and couriers. HKFEC also closely cooperates with overseas e-commerce organizations to make Hong Kong the gateway for e-commerce in China. HKFEC is also the operator of Hong Kong Trust Mark since Aug 2016.